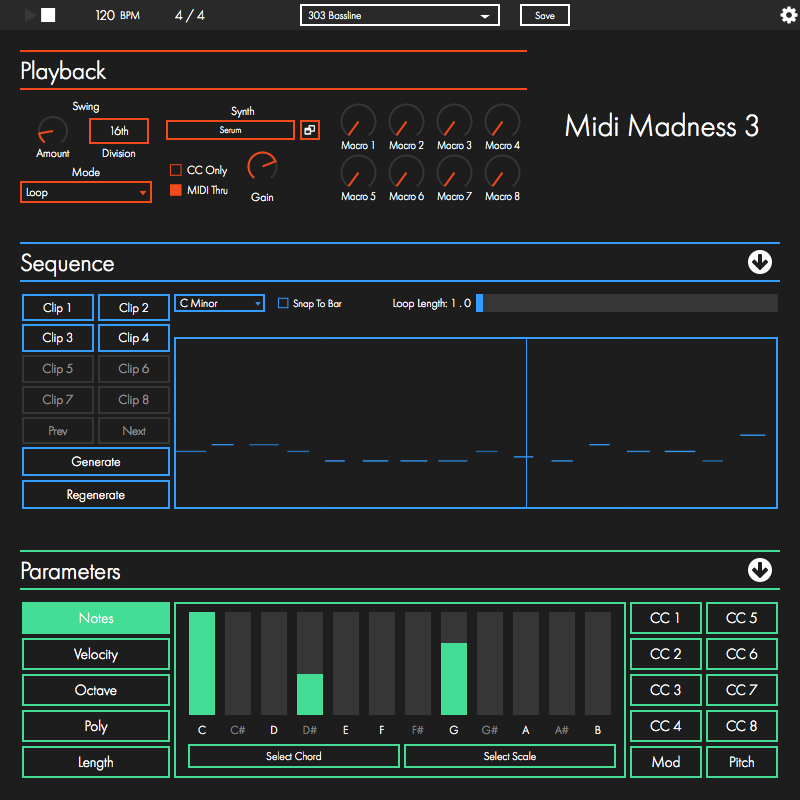 MIDI Madness Software has announced the final beta version of MIDI Madness 3. This update is the release candidate, and includes a whole list of bug fixes. 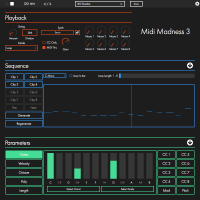 MIDI Madness 3 is an algorithmic melody generator that creates unlimited unique MIDI sequences based on the parameters set by the user. 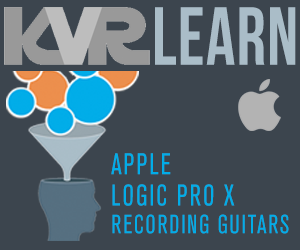 It can create anything from simple bass-lines, to long and epic chord sequences. Fixed tooltips on note lengths incorrect. Fixed level meter not showing bug. Fixed drag MIDI file to MM3 not updating sequence display. Fixed loading too large on smaller displays. Fixed registration window details glitches. Fixed users with accents or umlauts not registering. Fixed C-2 and C#-2 not showing in sequence. Fixed duplicate scales in 'Select Scale' popup. Fixed missing notes sometimes with small buffer sizes. Show serious errors to the user, and save crash information. Added better error handling to presets. Fixed chords not loading in Cubase. Fixed envelopes not loading points in Cubase. 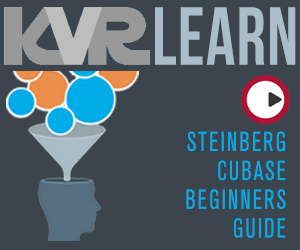 Fixed not loading saved session state in Cubase. Fixed not loading initial sequence in Cubase. Fixed drag and drop in Cubase. Fixed not loading saved session state in Studio One. Fixed not loading initial sequence in Studio One. Fixed drag and drop in Studio One. Fixed Native Instruments plugins not working in Ableton. Asonic.io releases "Rugged Trap Essentials"